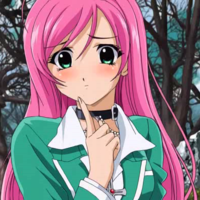 FUNimation has announced that it has scheduled the home video premieres of 2010 Anime Central licensing announcements Rosario+Vampire and Heaven's Lost Property for December release. FUNimation Entertainment acquired home entertainment, digital and merchandise rights for the supernatural comedies Rosario + Vampire and Rosario + Vampire CAPU2 from studio GONZO. The anime series are directed by Takayuki Inagaki (Desert Punk and To Heart) and based on the manga by Akihisa Ikeda, licensed by VIZ in North America. Rosario + Vampire follows the exploits of Tsukune, a teenager who finds himself rejected from the private high school of his choice. In fact, his grades are so bad he can only get into one school and it happens to be for monsters! There he meets a beautiful girl, Moka, who is a vampire with a dark secret hanging around her neck. Will Tsukune win the heart of the vampy beauty or does she just want his tasty human blood for lunch? FUNimation acquired the home entertainment, broadcast, digital and merchandise rights to the romantic comedy Heaven’s Lost Property from Kadokawa. The 14-episode anime series is directed by Hisashi Saito (Bamboo Blade). FUNimation Begins Streaming "B Gata H Kei - Yamada's First Time"